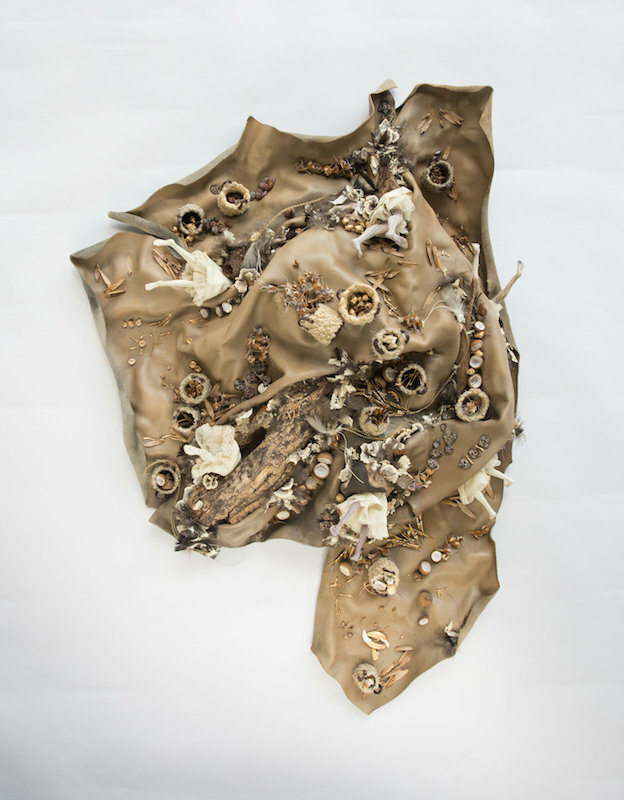 A native of Roanoke, Virginia, Page Turner collects items of deep personal meaning to painstakingly create delicate objects that honor the feminine along with the desires, experiences and roles of women. 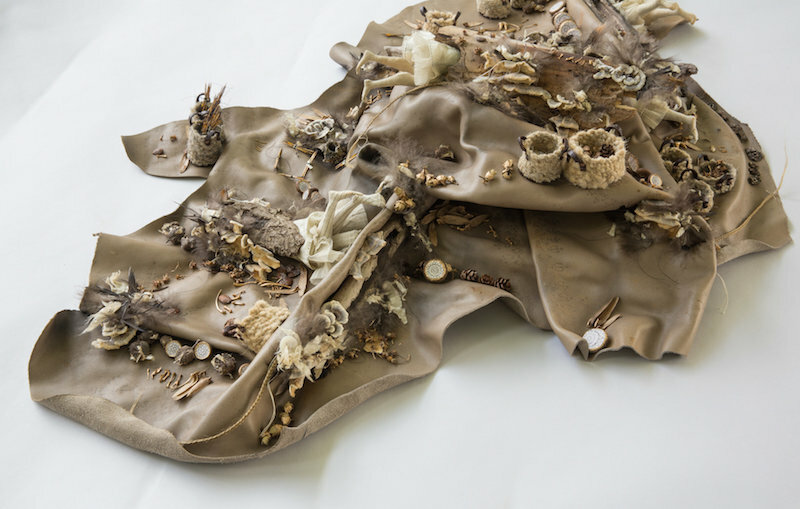 Her powerful assemblages include found objects such as fur, wood, shells, paper, and bone that firmly position her work culturally and geographically in the Appalachian region. Turner stitches these objects together with family heirlooms, antique fabric, and other personal objects, by hand, to create delicate sculptural pieces infused with a new feminist aesthetic and a soulful reverence for her heritage. Raised as a devout Mormon, her work is informed by both her Mormon heritage and a feminist perspective. She looks to the religion and its complex history as inspiration, and explores the divide between righteousness within the faith and women’s personal power. With deep reverence, she pays homage to pioneer women of the Mormon faith, as well as the contemporary sisterhood and her Appalachian community’s pioneer sisters. Tuner has collected and adorned bits from her mountain, stitched delicate fragments of ancient family quilts and dresses, hand-spun fluffs of wool into gathering baskets – assembling a marked, open sacred space for a congregation of women seeking. In the exhibit, bodies dive into hollow logs, holes, and under piles of marked seeds. The sisters’ legs and skirts are visible, but their heads and torsos, active in searching, are invisible to the viewer. The collection features objects with gilded animal bones, miniature woven baskets, wood, and soft sculpture legs and skirts made of heritage fabrics. Turner brings you a reflection of her own sacred spaces marked with parts of tatting patterns from her temple altar cloths. This work is a touchstone for contemporary women who are searching for their own sacred spaces.